Through July 26 – “The Emperors New Clothes” at the Columbia Children’s Theatre. See a production of the Hans Christiana Anderson story presented in a way you’ve never seen before! For more information call (803) 691-4548 or visit http://www.columbiachildrenstheatre.com/emperor/. Through July 27 – Creative Fun at the Columbia Art Center. Kids ages 5 to 9 will have a chance to work with mixed media that will include clay and paper. For more information call (803) 545-3093 or visit https://www.columbiasc.gov/parks-recreation/programs-activities/summer-camp. Through July 28 – “Memphis” at the Trustus Theatre. This production that won a Tony Award for Best Musical in 2010 tells the story of a young white DJ who fell in love with rock and roll, and an extremely talented black singer in 1950’s Memphis during the cultural revolution. For more information call (803) 254-9732 or visit http://trustus.org/event/memphis/. Through July 28 – Summer Concert Series at Finlay Park. Fill your summer Saturday nights enjoying music, food, beverages, and fun in this beautiful park in downtown Columbia starting with the band Atlantic Star an R&B band on the 2nd. For more information visit https://festivalnet.com/11548/Columbia-South-Carolina/Festival-Concerts/Columbia-Summer-Concert-Series. Through July 29 – “Beauty and the Beast” at the Town Theatre. If you are looking for something enjoyable to do to help beat the heat and provide some great entertainment, this fun and enjoyable production should do just that! For more information call (803) 799-2510 or visit http://towntheatre.com/beauty_and_the_beast/. Through July 29 – “The Little Mermaid Jr.” at the Village Square Theatre. The children have been working hard to put on this production for you, so come out and support their hard work! For more information call (803) 359-1436 or visit http://www.villagesquaretheatre.com/. Through July 31 – Wingard’s Photo Contest put on by Wingard’s Market. Submit your photos for a chance to win one of three prizes! For more information call (803) 359-9091 or visit https://wingardsmarket.com/photo-contest/. Through August 3 – Summer Camps at Town Theatre. If your kids are interested in theatre and performing, these camps cover a variety of topics for kids ages 5 and up. For more information call (803) 799-2510 or visit http://towntheatre.com/summer-camp-2018/. Through August 4 – “Beauty and the Beast” at the Columbia Marionette Theatre. Bring your children to see this show about a vain Prince who learns his lesson when he is turned into a Beast for his selfish behavior and the Beauty who helps to teach him the error of his ways! For more information call (803) 252-7366 or visit https://cmtpuppet.org/shows/beauty-and-the-beast/. Through August 6 – “Everything Is Better In Technicolor” at the Nickelodeon Theatre. Enjoy a view of some of history’s greatest productions from “musicals to mafia”. For more information call (803) 254-8234 or visit http://nickelodeon.org/series/everything-is-better-in-technicolor/. Through August 10 – Summer Camps at EdVenture Children’s Museum. Kids ages 4 to 12 can participate in a variety of activities to keep them busy this summer. For more information call (803) 799-3100 or visit http://www.edventure.org/programs/camps/. Through August 17 – Zoo Summer Camps at the Riverbanks Zoo and Gardens. Kids ages 3 to 13 can enjoy fun summer camps at the zoo with a variety of camps to choose from. For more information call (803) 602-0803 or visit https://www.riverbanks.org/education/day-camps. Through August 24 – Purple Martin Boat Tours at Jake’s Landing. Wingard’s naturalist and Captain Zach will take you on a trip for a once in a lifetime opportunity to see one of the largest Purple Martin roosts in North America on Doolittle Island on Lake Murray. For more information call (803) 359-9091 or visit https://wingardsmarket.com/event/purple-martin-boat-tour-june-18/. July 25 – Halau Hula ke Alohalani at the Lexington Main Library. Kids will have a chance to learn about Hawaii culture through puppets, music, and dance, as well as having a chance to hear the native language spoken. For more information call (803) 785-2600 or visit http://www.lex.lib.sc.us/calendar.asp#/?i=1. July 25, 26, & 28 – “Tony Tone” at the Comedy House Theater. This great comedian is amazing at portraying others, like Redd Fox, Chris Rock, & Homer Simpson just to name a few. For more information call (803) 798-9898 or visit https://comedyhouse.us/comedy-calendar/. July 26 – “Tony Bennett” at the Township Auditorium. This historical music icon will certainly provide you with an evening you won’t soon forget so don’t miss the chance to see him live! For more information call (803) 576-2350 or visit http://www.thetownship.org/events/. July 26 – Moonlight On Murray at Saluda Shoals Park. Here is a chance to watch the sunset and the moon rise on the Lake to create a memory you won’t soon forget! For more information call (803) 213-2062 or visit https://www.icrc.net/event/moonlight-murray. July 26 – 29 – “Benji Brown” at the Comedy House. You are sure to be entertained by this talented comedian! For more information call (803) 798-9898 or visit https://comedyhouse.us/comedy-calendar/. July 26 – August 5 – “The Little Mermaid” at the Harbison Theatre. Presented by the Chapin Theatre, this fill length version of the classic Disney production that will capture your heart with beautiful love story and music so take the kids out for some fun family time together! For more information call (803) 407-5011 or visit https://www.harbisontheatre.org/tickets-productions/chapin-theatre-presents-disneys-little-mermaid. July 27 – “Justice League” at Finlay Park. Bring the family out and enjoy a movie under the stars for this last movie in the park of the season. For more information call (803) 545-3100 or visit https://www.columbiasc.gov/parks-recreation/programs-activities/special-events. July 27 – 28 – “Chris Tucker” at the Comedy House. Fill your evening with humor by this talented comedian! For more information call (803) 798-9898 or visit https://comedyhouse.us/comedy-calendar/. July 28 – AfroGenesis Masquerade Poetry at the Tapp’s Art Center. This collaboration of music, dance, spoken word, visual art, and body painting is filled with masquerade cosplay! For more information call (803) 988-0013 or visit https://www.tappsartscenter.com/event/afrogenisis-masquerade-poetry/. July 28 – “Vaperror”, “Pluto Castle”, “DJ Siji”, “Pray For Triangle Zero”, and “Impossible Friedrich” in the Fountain Room of the Tapp’s Art Center. Enjoy an evening filled with a variety of music, with Atlanta based Vaperror making his Columbia debut. For more information call (803) 988-0013 or visit https://www.tappsartscenter.com/event/vaperror-at-infinite-room/. July 28 – Shaggin’ On Beaufort Street in Chapin. Ladies, grab your chair and a partner and enjoy an evening of dancing, food trucks, beverages and what is sure to be a whole lot of fun! For more information call (713) 725-3060 or visit http://www.chapinwomansclub.com/fundraisers.html. July 28 – Puppet Playhouse at the Lexington Main Library. Bring the children out for the fun of learning how puppets can enhance imagination and creativity! For more information call (803) 785-2630 or visit http://www.lex.lib.sc.us/calendar.asp#/?i=1. July 28 – Women’s Midlands Fair at the Columbia Metropolitan Convention Center. This free event with over 70 vendors is intended for women to come out and have a chance to get pampered and enjoy themselves with chair massages, a photo booth, makeovers, tattoos, and more! For more information visit https://www.eventbrite.com/e/midlands-womens-fair-tickets-41345650955?aff=efbeventtix. July 28 – Family Astronomy Workshop at the South Carolina State Museum. Bring the family out for a chance to learn about the night sky, how to navigate it, the basics of telescopes, and more! For more information call (803) 898-4921 or visit http://scmuseum.org/explore/observatory/family-astronomy-workshops/. July 28 – Madhubani Painting for Kids at the Columbia Art Center. Children will learn about this art form from India and create a piece on pottery to take home. For more information call (803) 545-3093 or visit https://www.onecolumbiasc.com/event/madhubani-painting-for-kids/. July 28 – “20 Feet From Stardom” at the Nickelodeon Theater. Hear the story of some of the greatest voices that were back-up singers to some of the greatest singers of all time, and the “conflicts, sacrifices, and rewards” of their careers. For more information call (803) 254-8234 or visit http://nickelodeon.org/films/20-feet-from-stardom/. July 28 – “Confunkshun” at Finlay Park. Fill your evening with this last concert of the season, an R&B/Funk band! For more information call (803) 545-3100 or visit https://www.columbiasc.gov/parks-recreation/programs-activities/special-events. July 28 – “Vaporror” with “Pluto Castle” and “DJ Siji” at the Fountain Room of the Tapp’s Art Center. The Vaporwave artist is making his debut alongside these electronic artists! For more information call (803) 988-0013 or visit https://www.tappsartscenter.com/event/vaperror-at-infinite-room/. July 29 – 30 – “Thunderball” at the Nickelodeon Theater. This 1960’s classic film set the stage for the many spy thrillers that would follow. For more information call (803) 254-8234 or visit http://nickelodeon.org/films/thunderball/. 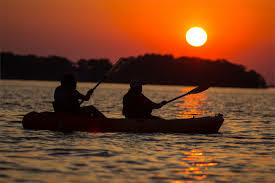 July 30 – August 3 – Kayak Camp at several different locations around the City. Teenagers 12 to 16 will be able to learn about the art of kayaking and take a trip down several rivers in the area. For more information call (803) 315-9275 or visit https://www.columbiasc.gov/parks-recreation/programs-activities/outdoor. July 30 – August 3 – Fun with the Masters at the Columbia Art Center. Kids ages 5 to 9 will learn how to use mixed media to create art that will include clay and paper. For more information call (803) 545-3093 or visit https://www.columbiasc.gov/parks-recreation/programs-activities/summer-camp. August 1 – Wild Out Columbia Improv Show at the Comedy House. If you feel like you have what it takes to make people laugh, come on out and show the crowd what you can do! For more information call (803) 798-9898 or visit https://comedyhouse.us/comedy-calendar/. August 1 – Artists for Africa at 1208 Washington Place in Columbia. This postcard art event is to benefit founder Cooper Rust’s teaching of the arts to kids in Nairobi. For more information call (803) 727-5314 or visit https://www.artistsforafricausa.org/coming-up. August 2 – Storytime in the Garden at the Hampton Preston Mansion Garden. Children will enjoy stories, music, & historical games in the Gazebo of the Children’s Garden! For more information call (803) 252-7742 or visit https://www.historiccolumbia.org/events/2018/2018-08/storytime-gardens. August 2 – Columbia’s Got Talent at the Comedy House. If you feel you have a talent that can win a competition, come out and see if you have what it takes to win! For more information call (803) 798-9898 or visit https://comedyhouse.us/comedy-calendar/. August 2 – 5 – “Lost In My Wonderland” at the Cardinal Newman School’s Anna Tronco Williams Performing Arts Center. This musical adaptation of Alice in Wonderland will find Alice, having fallen through the rabbit hole, in the future starting with the roaring 20’s and ending with the swinging 60’s, so you won’t want to miss this fun and exciting production! For more information call (803) 457-1126 or visit https://www.broadwayboundmtc.com/lost-in-my-wonderland.html. August 3 – Paddle and Pint at Saluda Shoals Park. Paddle the Lower Saluda River followed by the chance to sample craft beers at the River Overlook. For more information call (803) 213-2062 or visit https://www.icrc.net/event/paddle-and-pint-0. August 3 – Kidz Night Out – Bricks 4 Kidz at Seven Oaks Park. Give your kids a night out filled with fun building and creating, and a pizza dinner! For more information call (803) 772-3336 or visit https://www.icrc.net/event/kidz-night-out-%E2%80%93-bricks-4-kidz. August 3 – The Soda City Slaughter: “Fractured Fairytales” , “Beyond the Gallows”, “Carolina Chupacabra” & “Bruried Voices” in the Fountain Room of the Tapp’s Art Center. You’ll enjoy an evening of heavy, horror, dark, & death metal! For more information call (803) 988-0015 or visit https://www.tappsartscenter.com/event/fractured-fairytales/. August 3 – 4 – Little Mountain Reunion at Reunion Park in Little Mountain. Enjoy a day in this wonderful little town with good music, food, carnival rides, and more! For more information call (803) 605-8777 or visit http://littlemountainreunion.info/. 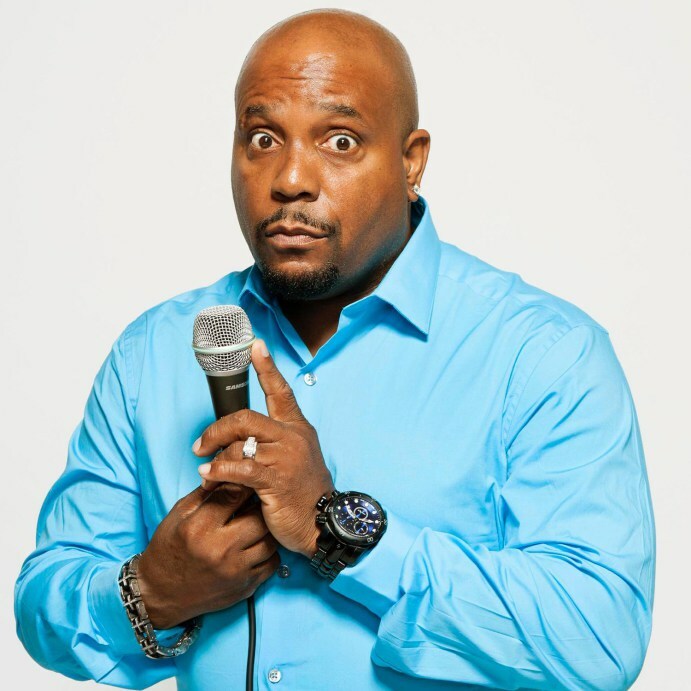 August 3 – 5 – “Arnez J” at the Comedy House. You are guaranteed to enjoy an evening of laughter until you cry with this talented comedian! For more information call (803) 798-9898 or visit https://comedyhouse.us/comedy-calendar/. August 3 – 12 – “The Music Man, Jr.” at the W.G. Sanders Middle School Freddie E. Grace Jr. Theatre. Based on the story by Meredith Willson and Franklin Lacey, which won six Tony Awards for best comedy musical, you’ll meet the traveling salesman Harold Hill who has trombones for sale and offers to help organize a boys band if they purchase one, but as you’ll learn, he doesn’t have a clue about how to play one, so be sure to come see the outcome at this fun production! For more information call (803) 691-4548 or visit http://www.columbiachildrenstheatre.com/musicman/. August 4 – Backyard Saturday at Saluda Shoals Park. This is Owl awareness day, so kids and their parents will learn about these primary nocturnal creature! For more information call (803) 772-1228 or visit https://www.icrc.net/event/backyard-saturday-0. August 4 – Fairy House and Cottage One Day Workshop at the Columbia Art Center. This workshop for children and adults of all ages will teach you how to create your own fairy house! For more information call (803) 254-5008 or visit https://www.onecolumbiasc.com/event/fairy-house-and-cottage-one-day-workshop/. August 4 – Monthly Gospel Singing and Special Event at the Midlands Gospel Singing Center in Gilbert. Come out and enjoy 4 quartets that they serenade your Sunday night away! 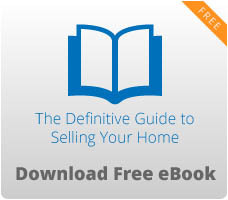 For more information call (803) 719-1289 or visit https://midgsc.com/. August 4 – Guided Historical Walking Toru: Civil War Battle of Congaree Creek at the 12,000 Year History Park in Cayce. Learn significant aspects of the war and their impact on the Columbia area. For more information call (850) 322-5636 or visit https://www.facebook.com/12000YearHistoryPark/. August 5 – 6 – “The Godfather” at the Nickelodeon Theater. Considered to be one of the greatest films of all time, take a break from the heat to enjoy this awesome movie! For more information call (803) 254-8234 or visit http://nickelodeon.org/films/the-godfather/. August 7 – Behind the Scenes Tour at 1649 Main Street. Get a tour of the former Hennessy’s back to 1872. For more information call (803) 252-7742 or visit https://www.historiccolumbia.org/events/2018/2018-08/behind-scenes-tour-1649-main-street. August 7 – “Crawfish and Zydeco” at the Nickelodeon Theater. Take a trip to Cajun land with great Zydeco music and some great Cajun and Creole cooking! For more information call (803) 254-8234 or visit http://nickelodeon.org/films/crawfish-zydeco/. August 8 – Mixed Media Art at the Columbia Art Center. This Indian inspired workshop will use a variety of media to create a colorful masterpiece! For more information call (803) 254-5008 or visit https://www.onecolumbiasc.com/event/mixed-media-art-instruction-by-jugnu-verma/. August 9 – Moonlight Cemetery & Secrets From The Grave at Elmwood Cemetery. Enjoy one or both of these tours where you will learn about the symbols on the headstones and what they mean, and where you can learn about historical figures from Columbia who are buried here. For more information call (803) 252-7742 or visit https://www.historiccolumbia.org/events/2018/2018-08/moonlight-cemetery-secrets-grave-tours. August 11 – Pasta Making at the Columbia Art Center. If you’ve ever wanted to learn how to make your own pasta, don’t miss the chance with this workshop! For more information call (803) 254-5008 or visit https://www.onecolumbiasc.com/event/pasta-making-instruction-by-alice-leri/. August 11 – Tasty Tomato Festival at City Roots. Enjoy a day filled with great food, beverages, and music! For more information call (803) 470-4302 or visit https://tastytomatofestival.com/. August 11 – “Erica Campbell & Deitrick Haddon: Get Up And Praise” at the Township Auditorium. Come enjoy an evening of inspirational music by these two talented performers. For more information call (803) 576-2350 or visit http://www.thetownship.org/events/. August 12 – “Romeo and Juliet” by the Royal Shakespeare Company at the Nickelodeon Theater. This historical story about love at first sight displays intense passion and will hopefully set a precedence for generations to come! For more information call (803) 254-8234 or visit http://nickelodeon.org/films/rome-and-juliet-royal-shakespeare-company/. August 13 – WWE LIVE Summerslam Heatwave Tour at the Colonial Life Arena. Okay wrestling fans, they’re back with WWE Champion AJ Styles, United States Champion Shinsuke Nakamura, and a whole lot more so don’t miss it! For more information call (803) 576-9200 or visit https://www.coloniallifearena.com/events/detail/wwe-live-summerslam-heatwave. August 14 – “Cat On A Hot Tin Roof” at the Nickelodeon Theater. This movie starring Paul Newman and Elizabeth Taylor is set in Mississippi “is a sweltering melodrama of unfulfilled desires and simmering frustrations.” For more information call (803) 254-8234 or visit http://nickelodeon.org/films/cat-on-a-hot-tin-roof/.